All successful traders have a consistent methodology, whether it be going with the trends, going against the trends, relying on value investing or devising a system based on numerology. Even traders who appear to work on ?intuition? ? seeming to have a natural knack for trading ? in reality, have probably traded so much that their system has become second nature. They?ve already done the hard yards towards mastering their craft. They learnt it. Just like you can. Sadly, I cannot develop a methodology for you. I can point you in the right direction and provide you with examples, but you must ultimately devise a system that is your own. This is because you must be able to follow it.You need to chose the best trading system for you. In order to follow it, your system has to reflect who you are. Just as it doesn?t make sense to duplicate my system, it also doesn?t make sense to try to replicate someone else?s. You simply can?t go out and buy a ready-made system and trade it ?out of the box?. It wasn?t designed for you with your goals in mind, taking into consideration how much cash you?re investing, how much time you have to devote to trading, the level of risk you?re prepared to assume and the returns you expect to make. Every successful trader has her own winning system and there are as many successful systems as there are traders. Despite their differences, there is one common element among all successful traders: they have a consistent way they approach the market. This approach is unique. In reality, no two people have exactly the same amount of money, tolerance for risk, personality, time or experience. Therefore, the key to success is to design a system that is suited to you. Again, the best trading system is one that reflects you and your goals. Many traders fail because they do not assess how well a trading system matches their personality. Instead, they chase fads, searching for the ?Holy Grail? of trading success; worse yet, they waste their money on the latest investing software or buying up the CDs of the latest self-proclaimed stock market guru. There is another very important reason why you must design your own system ? so you can take ownership of it.And that means taking ownership of your results. Putting it back on yourself means that you?re in a position to learn from what you do? to perfect your system. If you?re using someone else?s system in its entirety, it?s too easy to blame the system. But, where does blaming someone else leave you? Right back where you started. Beware of fads. I know it?s tempting to jump on the latest craze now and then ? especially when you aren?t seeing the results you hoped for. These fad trading systems appear too good to be true for one reason? they probably are! The fact is there is no perfect system. Successful investors succeed because they choose a system that they feel comfortable with, not one that claims to be the cutting edge. A cool, disciplined trader will make money with an ?average? system, while a nervous, arbitrary trader will annihilate a ?brilliant? system. The key is to develop a methodology that maximises your strengths and minimises your weaknesses. But how do you do that? Firstly, you must define your objectives. How much time do you have to spend trading? It might be full time, part time or hardly any time. How much capital do you have to work with? Remember, you shouldn?t trade money you?re not comfortable losing. How much risk are you comfortable with? The fact is, there will be times when you lose money ? in trading this is called your drawdown. You need to know how much of drawdown you are comfortable with? 20%? 30%? You need to decide. What annual rate of return do you want? This includes what you expect to make and in what timeframe. Be realistic about this. Decide what you honestly think will be returned, based on what you?re willing to risk. For example, you?re not going to have a system that will return 100% per year if you?re only prepared to risk a drawdown of 5%. How do you want to take your money from the market? Are you looking for cash flow (consistently taking profits out of the market) or capital growth (looking to grow your capital in the market over time, using the magic of compounding)? Your answers to these questions will have the biggest impact on the style of your trading system. Styles range from aggressive day traders looking to scalp a few point gains, to investors who are looking to capitalise on long-term macro economic trends.In between, there are a whole host of possible combinations including swing traders, position traders, aggressive growth investors, value investors and contrarians. Answering the objective questions truthfully should eradicate any mismatch between what you want to achieve and the market/style you?ve chosen to trade in, an example of which follows. Greg is a 42-year-old father of three who works full time at a city-based telecommunications company. With two children attending a private high school and the other starting next year, Greg doesn?t have a lot of spare cash to use for trading. In addition to this, he has limited time to devote to trading, given all the kids? weekend sporting activities and an increasing number of late nights at the office during the week. When Greg first set out to trade, he set the objective of making the maximum he could in short-term trading to help supplement his income. It didn?t take Greg long to realise that his goals were unrealistic. Shorter term trading requires a higher number of trades, which, for a time-poor person, is difficult to manage. He has little spare cash to invest, so again, this doesn?t gel with short-term trading that requires a larger trading float to make any decent returns. To help you decide whether a short- or long-term trading system will better suit your objectives, see table 3.1 for a comparison between the attributes of both. Given there are pros and cons for each trading style, it is important that you set realistic expectations relative to the level of risk you are prepared to assume. Unfortunately, you can?t expect to take on minimal risk and reap maximum profits; it just doesn?t work that way. Moreover, your style will depend on your level of commitment. Day traders are likely to pursue an aggressive style with high activity levels. The goals would be focused on quick trades, small profits and very tight stop-loss levels. Intraday charts would be used to provide timely entry and exit points. A high level of commitment, as well as focus and energy, would be required. Unlike day traders, position traders are likely to use daily end-of-day charts and pursue longer trends. The goal in this case is to be focused on short to intermediate price movements and the level of commitment would be less than a day trader. With this in mind, be sure to define your trading objectives as best as you can, since your system must match your own criteria or you will never make big profits (see chapter 1). With a few portfolio objectives defined, your next step is to decide in which market you are going to trade. Please understand, you can?t trade everything. Don?t be fooled into trying to trade in lots of markets thinking you?ll spread your risk; all you?ll be doing is lowering your chances of success and floundering at the edges of each market rather than getting to know one really well. There are many trading instruments to choose from, but to meet your objectives, you must choose only one.Don?t be a jack of all trades and master of none. Trade one system, on one market. There are more than enough opportunities in each market so don?t worry about missing out. To select the most appropriate market, I suggest you pick a market you are familiar with or one in which you would ultimately like to trade. There is no right or wrong answer and unfortunately, there is no ?best? performing market. The ?real money? is made by mastering your chosen market. You can successfully trade any of the markets I have outlined below. Although there are exceptions and different strategies that will alter the characteristics of these markets, as a general rule, below are typical features of each market. They are listed from the most straightforward (stocks) to most complex (forex). Plain and simple, stocks represent a share in the ownership of a company. Stocks trade on a stock exchange, which is basically a venue to buy or sell a stock. In this arena, big players such as Warren Buffet, Merrill Lynch and other big banks dominate. That said, don?t be scared off because, if you?re new to trading, this is probably the best place to start. It offers the lowest risk because it?s unleveraged. There is a tendency for new traders to go for higher leveraged instruments because of the return, but you must remember that the higher return the higher the risk. If you haven?t traded stocks (and made a profit) you?re probably not ready to look at leveraged instruments just yet. In short, start with stocks. Options are leveraged instruments that derive their price from underlying securities (such as stocks). They give the buyer the right, but not the obligation, to buy or sell an underlying asset at a specific price on or before a certain date. So, unlike stocks, which represent equity in a company and can be held for a long time (if not indefinitely), options contracts have finite lives. Options are the next step up from stocks in their complexity. They introduce the opportunity to leverage your money and increase profits. A word of advice on options: make sure you are trading liquid options (those that are well traded).You never want to be dealing directly with the market maker because they will put the odds in their favour by setting a wide spread. Where the spread is the difference between the highest bid and the lowest offer. In a similar vein to options, futures contracts also have finite lives. They are primarily used for hedging commodity price fluctuation risks or for taking advantage of short-term price movements. The buyer of the futures contract agrees on a fixed purchase price to buy the underlying commodity (wheat, gold or T-bills, etc.) from the seller at the expiration of the contract. This differs from options where the buyer has the right to purchase the underlying commodity but is not obligated to do so.As time passes, the contract?s price changes relative to the fixed price at which the trade was initiated. This creates profits or losses for the trader. Futures trading is one of the more complex forms of trading, but along with the increase in the skill level required, there are greater rewards (in terms of return on investment). Commodities trading can be a great stepping stone towards trading more advanced markets. CFDs derive their price from an underlying security and can be placed on virtually anything. Nowadays, CFD providers allow people to trade almost whatever they want through their own (that is, the provider?s) platform.The CFD providers, in effect, end up becoming the market, setting the buy and sell prices. They make their money in one of two ways: either (1) they?ll set a wider spread ? the difference between buy and sell (similar to exchanging foreign currency at the airport) ? or (2) they will take equal and opposite transactions to whatever you do (in effect, 100% hedging themselves and making their money on the brokerage and lending rates). CFDs are popular at the moment because they allow you to trade both sides of the market (long and short). In this case though, there are actually no shares involved; instead, the broker agrees to pay the difference between the starting share price and the price when the contract closes. This method of making or losing money based on a difference is where the name ?contracts for difference? originates. Forex ? short for foreign exchange ? is trading where the asset traded is currency. What makes it so unique is that, unlike other financial markets, the forex market trades 24 hours and its daily volume exceeds $3.7 trillion, making it the largest and most liquid market in the world. This market is extremely attractive because of? the high leverage potential. For example, if you put a dollar down, you can control $100 (so, 1% down). It?s obvious why this would be a very interesting proposition, but you must remember that leverage is great when you?re making money, but it?s tragic when you?re losing (you?ll lose your money a lot quicker!). While this sounds exciting, it?s not for the faint hearted.Forex trading can be fast and furious. If you?re just starting out, unless you have your heart set on trading the forex, I recommend that you prove your trading plan can trade profitability in other non-leveraged markets (such as stocks) before entering this market. When trading any leveraged product, you are faced with a double-edged sword. On the one hand, the leverage will increase your winning trades, however on the other hand, it will also increase your losing trades. The secret to successful trading is to first learn to trade unleveraged markets profitably and then take this system and increase the leverage gradually. In this way you will clearly understand the risks involved and also position yourself for the best possible chance at success. Now that you?re familiar with the different markets available to you, it?s time to make a decision. What do you want to trade? Choose just one of the markets I have covered in this chapter. If you?re still having trouble making up your mind, the Triple Your Trading Profits course provides more detail on these markets. Moreover, what makes this course so invaluable to the beginner, and even the advanced trader, is that you will learn the key principles to trade multiple markets. With this knowledge, you can then choose the market that makes most sense to you and choose the best trading system for you. 1.??? Answer the portfolio objectives questions listed in this chapter. 2.??? 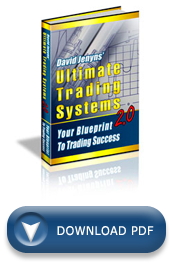 Affirm: ?I will find a system that fits me and I will become the world?s best trader at this ONE style of trading?. I am a trader holding positions in stocks for days and weeks. My entry and exits are very late as my system is based on 2 moving average crosses. Many times it results in to losses. One major problem always is i can never figure out how far the present rally would go – 1 day, 10 days, 100 days. So there is always an element which i call – gambling. I get get 5 ralls of 1 day each and my capital will be wiped out. Please share your trading system or please suggest 1 or 2 most appropriate trading systems just to learn. You’re not alone, most trader’s struggle with this problem. The key is in your exits… you really need to hone your initial and trailing stops. If you’d like to find out more on this topic check out my course Trading Secrets Revealed 2.0 (www.trading-secrets-revealed.com) it details how I solve this problem. Please also be sure to continue working through this website, you’ll find loads of useful, free information. Thanks for your question. Depending on the instrument you’re trading some brokers only require you have 1% of the position size value within your account. Should this value change (as the market moves) they’ll give you what’s known as a “margin call”… in short it’s a call to put more money in your your account. A stop loss is a great way (as you noted) to limit your losses. Hi David, I am looking at setting up another cheaper trading account that is of lower cost to my bank based online trading account. I am trying to stay away from the market makers and go for direct to market. I plan to use CFD’s for shorts and stocks for long. My questions is- How do I know that the provider I go with will be a true direct market access and not a market maker. Please note all CFD’s by nature are market makers. If a provider is creating the market, they are market makers. In answer to your question, perhaps you can just ask them… are they creating the market or do they simply give access to the market. That should be what you’re after. But my point is, if one is going to buy US assets, such as US stocks and they appreciate by say 20%, yet the AUD/USD rate was to appreciate by the same amount over the same time, you\’ll make nothing, except for your broker! I am a “quiet” trader, and I have already found that, given my limited risk tolerance, a good instrument to work with are ETFs. The problem is that there are so many markets to choose within, with ETFs… I started with gold, then jumped to stocks and inflation linked bonds, trying to follow some principles of intermarket analysis. I only lost few hundreds of Euros (I decide my stops and sizing to lose at maximum 150-200 Euros per trade), but I must recognize that I didn’t really master any market. So, my first decision is to select only one market (may be a bond or stock market) which gave robust results with my simple trend following system; then go with it. Another problem that I found is that, even if at very beginning I thought that long-term trading was suitable for me, I understood that my risk tolerance wasn’t enough strong to resist to short term losses. So, effectively, my trading is now a short term one. Finally, I have troubles with waiting for confirmation of a signal to increment my winning trades percentage, but this is another story of “not enough patience”. To summarize, my impression is that I am too much wandering among markets and styles, and that I should learn to be more consistent. What do you think? Thank you. Thanks for your honest, open comment. You situation is not unusual… in fact, most traders go through the same process as they’re developing a trading system. Have you developed your trading plan yet? One of the first steps is to pick one market and find a style that suits you. Sadly, there’s really not shortcut… stick with it, you’re on the right track and the rewards are worth it. I spoke on another page about my experience with Van Tharp’s Home Study course. The course said the same thing about designing a course to fit one’s personality. Ofcourse, if one wants help with that process, Van will sell yet another course on How to design a system that fits you!!! So, I have been going it alone and find it is VERY difficult to come up with a system which has a Long Term positive expectancy which I can trust. One of the greatest problems I have is sticking with something that works versus being open-minded about “improving” a system. If one must have discipline to follow rules, how does one deal with the possibility that the rules might need changing? Hi David very interesting thank you for sharing it for free I appreciate it. Let me tell you my situation first, I am looking desperate for ABC information about how to start trading, I realized this will be a good business for me since I failed in my own business few months ago and I never worked for somebody else and I need to get in the track again and pay all my debt. Now I have been reading books to get started, by the way I live in Canada, I have been jumping from one information to another and I am very confused, the only thing that I am sure about is that I want to trade for an income at least for now because I am not working, but I just read that it will require more experience (which is not my case). I want to know how much do I need to get started, what I have to focus on in order to have a decent income, I want to become a master and I want to know how long I will need to to learn it before I start trading. This really helps us a lot. 4.What annual rate of return do you want? When you say that I should stick to one type of market I get the impression you\’re saying stock, options, futures etc… but within there are many instruments, SP500, FTSE100, NASDAQ, and numerous co\’s . Should we then whittle it down further and only stick with one instrument? I think alot of traders and people in general don’t want to be told they are wrong or what to do for that matter they are not willing to change their approach to become successful at trading, they just keep doing the same thing over and over expecting different results. its not gonna work. one trader told me he wanted to quit trading because it takes too much effort to make money and he gives it all back in 1 trade after 4 winners this same trader doesn’t listen to anything you tell him, uses no stops or moves his stop away from entry, buy at highs, all the key things as a professional you don’t do and then expect the market to pay them for the “effort” I told them the market doesn’t give to craps about your effort if your a killer or what you are it only cares about what it will do either adapt to it and protect yourself or goodbye i have learned all this the hard way but i have subdued my ego and accepted lessons in a humble way now. This is key without an open mind you will never survive never mind being profitable month after month. easier said than done.